BeiLi was built in 1996 with an ISO certificate.In the past 20 years, we have grown up as a famous fine chemicals manufacturer of EBC 2-ethoxybenzoyl chloride CAS 42926-52-3 in China. And we had established good business credit in UK, Netherlands, Germany, Norway, Italy, US, Japan, Korea,India, Thailand etc. BeiLi is taking great efforts to provide our customers with demanded goods and professional services,we can provide you with cost-effective 2-ethoxybenzoyl chloride(EBC). Used as pharmaceutical intermediate, mainly for producing Sildenafil etc. 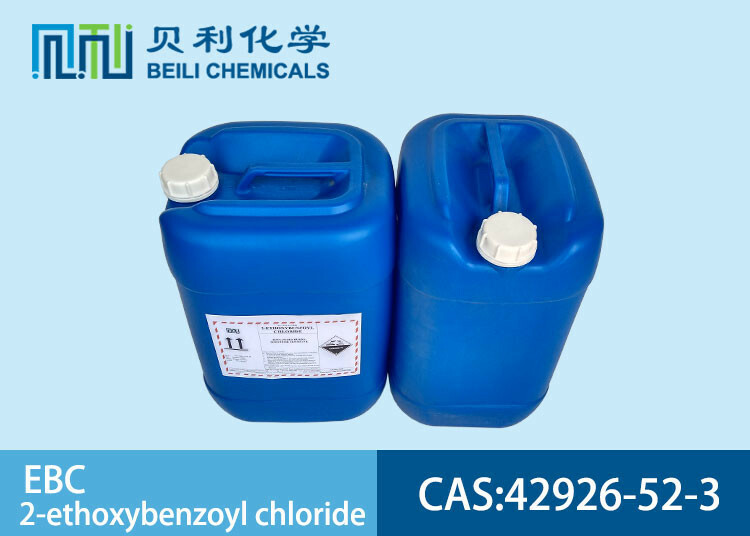 BeiLi is a professional manufacturer of EBC 2-ethoxybenzoyl chloride CAS 42926-52-3 . We develop and produce high quality intermediates. BeiLi consists a team of professional analytical department complete QC&QA under strict SOPs, experienced sale and after-sale service, efficient logistic support. We work closely together with production team to assure timely and cost-effective production of quality products, our mission is to find solutions for customers' pilot and scale demand.